Hi everyone! Hope your week has treated you well! 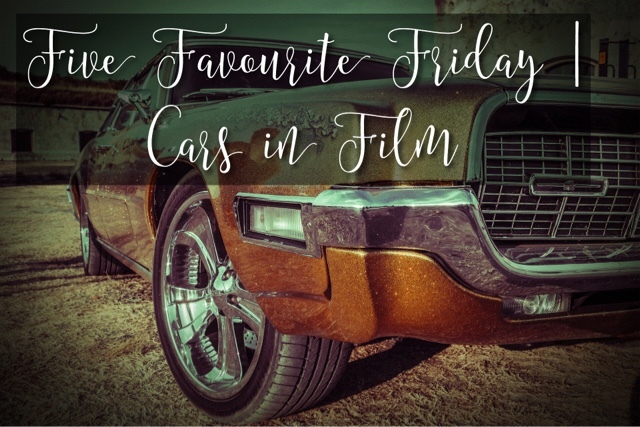 We’re back with another top 5 and this week Tim has chosen film cars as his topic. I’ve loved looking through all the different cars for this topic so I’m going to just jump straight in! 5. Aston Martin V12 Vantage, from James Bond: Die Another Day. I love an Aston Martin. Any one will do. Seriously. But this one has to be my all time favourite. It’s the reason I love Aston Martin so much! For the second I saw it in the film I instantly wanted one! 4. Mater, from Disney’s Cars. Doesn’t everyone love Mater? He’s just so lovable! ‘Nuff said. 3. Bumblebee, from Transformers. On the subject of lovable characters, Bumblebee is the cutest. Y’know, as far as cars go anyway! And who doesn’t love a bright yellow Camaro with black racing stripes?? 2. The Tumbler, from Batman: The Dark Knight & The Dark Knight Rises. This is quite simply a jaw dropping car and I instantly know you’re lying if you say you don’t want one! 1. FAB1, from Thunderbirds. A beautiful car and a perfect driver. Didn’t every girl want to be Lady Penelope at one point or another? And what makes it even better still is having good old Parker as a driver! It’s my dream in life is to own FAB1, become Lady Penelope and have Parker as my personal driver. I’m not asking too much…. Right? So there’s my top 5! No honourable mentions from me this week as there would be far too many! 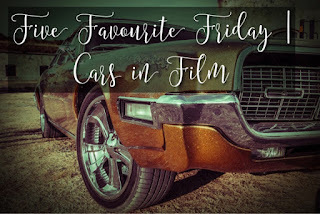 I had a huge list of cars in film that I love, I might do a separate post to show some appreciation for these. Next week I’m opting for something a little strange. Next week we’ll be looking at our top 5 Rockabye Baby! covers. If you don’t know who Rockabye Baby! are, click here and have a listen ready for our post next week. As ever, head on over to Broken Thoughts to read Tim’s post!